SOLD - 73 Seaview Ave. Scituate, MA 02066 - Quincy Real Estate, South Shore Real Estate, SALES & LEASING! This lovely home has been cared for by the same family for over 50 years. 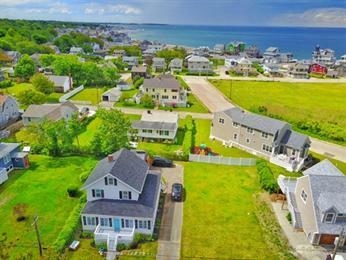 Located in highly sought after Sand Hills, within walking distance to the Harbor, Lighthouse, Scituate Beach Association events, Scituate Yacht Club, restaurants and beaches! The property features a very large lot for outdoor fun and future expansion, plenty of parking for beach guests and 3 levels of living space to spread out! The roof is new (2-3 years) as well as an updated kitchen, updated bathroom, and many newer windows. Welcome to a quiet family neighborhood within the highly ranked Wampatuck elementary school district, wake up to the smell of the ocean and all that Scituate has to offer!